Kim Keheley Frye is a Georgia criminal defense trial attorney with over 50 felony and misdemeanor jury trials. A graduate of the University of Georgia and the Georgia State University School of Law. Kim had experience as a Defender-Advocate, Honor Court and the Student Trial teams while in school. Previously working as a prosecutor, in both felony and misdemeanor court, gives Kim special insight into the workings of the prosecution and law enforcement. In 2008, Frye Law Group was born as a law office to champion and protect the rights of the accused. 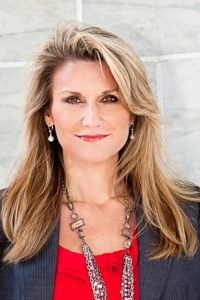 Kim has lectured in Georgia, nationally and internationally on topics relating to criminal defense. Attorney Frye is an approved mentor of new law students entering the profession and has trained and assisted many young lawyers in their quest to become trial lawyers. Attorney Frye is 2013 graduate of the Gerry Spence Trial Lawyers college and of the National Criminal Defense College. She seeks out every opportunity to continually improve her trial skills knowing that the best defense is a strong offense. Kim has held chair and vice president positions in many bar, legal and community organizations- Cobb County Bar Association, Georgia Association of Criminal Defense attorneys, DUI Defense Lawyers Association and the Junior-League of Cobb-Marietta. Kim has completed the training and holds certificates in the following: Standardized Field Sobriety, Advanced Roadside Impaired Driving Enforcement, DNA for Lawyers, Forensic Chromatography-Theory and Practice, Forensic Drug Analysis and Forensic Principles of DUID. As a life member of the National Association of Criminal Defense Lawyers, Board of DUIDLA and as an alumna of the Trial Lawyers College, she enjoys a national and international network of friends and esteemed colleagues to collaborate with around the world. Kim has a Martingale- Hubble AV rating and was chosen for the 2013 Georgia Trend Legal Elite.